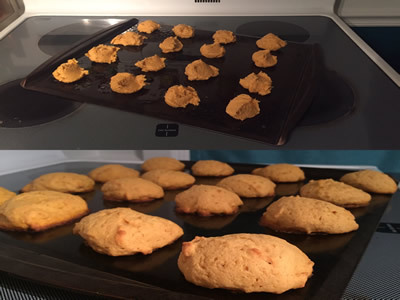 Cooler weather is only weeks away and that means… pumpkin everything. 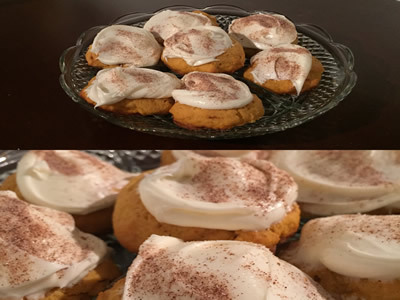 Most coffee shops have already broken out the gourd-flavored grounds, so after a simple search, we’ve found our favorite fall cookie recipe. The ingredients are simple and the steps are too. The results? Delicious. 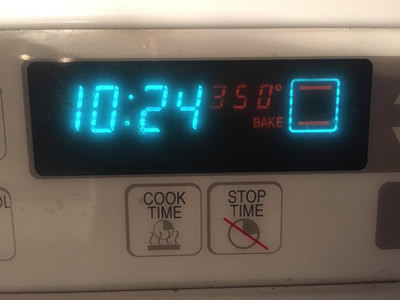 First and foremost, preheat the oven to 350. 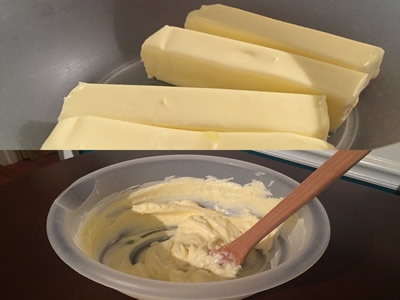 Beat 2 cups of butter with an electric mixer. If you don’t have one, you can throw the butter in a microwave for roughly 30 seconds and then manually beat with a large spoon until light and fluffy. Add the sugar, baking powder, baking soda, salt, cinnamon and nutmeg. Beat until each of the ingredients are well mixed. Repeat this step with the eggs and vanilla. 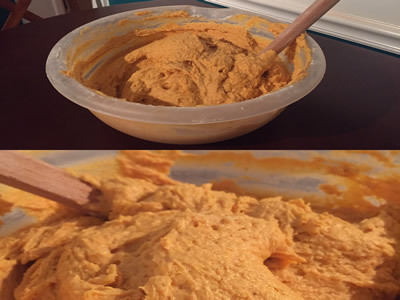 Beat in the canned pumpkin. Add the flour slowly until combined, cup-by-cup. At this point, the dough should be wet. 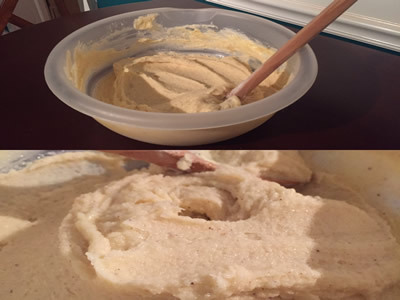 Drop dough by the tablespoon onto a greased cookie sheet. Bake on the center rack for 10 to 12 minutes. After the cookies have cooled, ice them with the cream cheese frosting. If desired, sprinkle tops with cinnamon and enjoy.